My New Year’s resolution was to start making more bread. You might have guessed that it might be a food related resolution. Shop bought bread is fairly limited for us and there is such a wonderfully varied and practically endless range of breads, most of which can’t be that hard to bake yourself. I thought I’d start simply with these rather moreish breadsticks, inspired by and adapted from my ‘Scandilicious Baking‘ book that I was given for Christmas. I’m rather pleased with the results and the salty, rosemary vibe is quite reminiscent of a focaccia but without the oiliness. You could serve these alone or with dips. 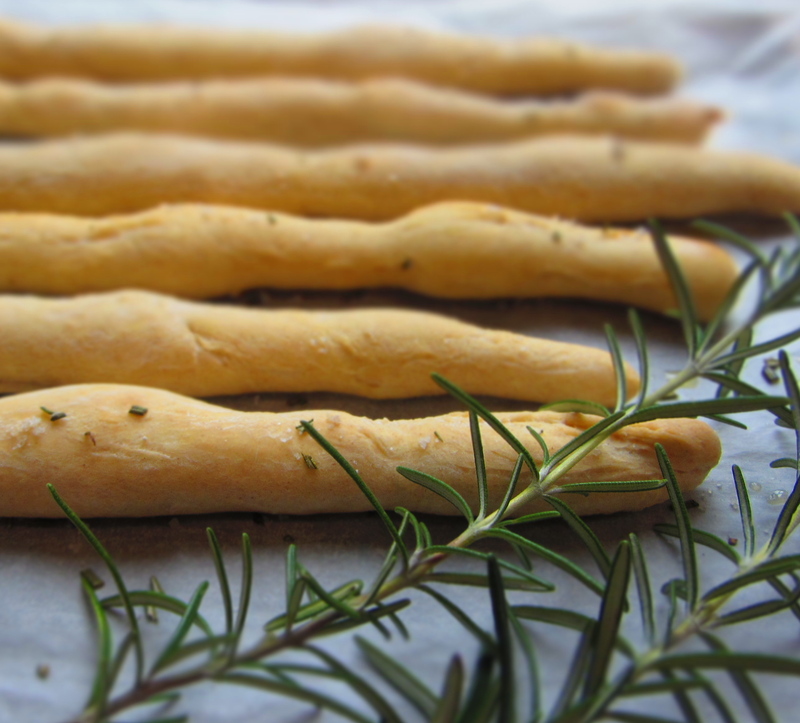 Rosemary Breadsticks (dairy-free, egg-free, nut-free, sesame-free, soya-free, vegetarian and vegan) NB: contains gluten. – Sift the flour into a large bowl. Stir in the yeast and salt. – Make a ‘well’ in the middle and pour in the water and 1 tbsp oil. – Mix until it comes together to form a dough. Then knead until smooth and the dough springs back when you press it. – Place in a bowl, cover with cling film and leave to rise for about 1 hour. 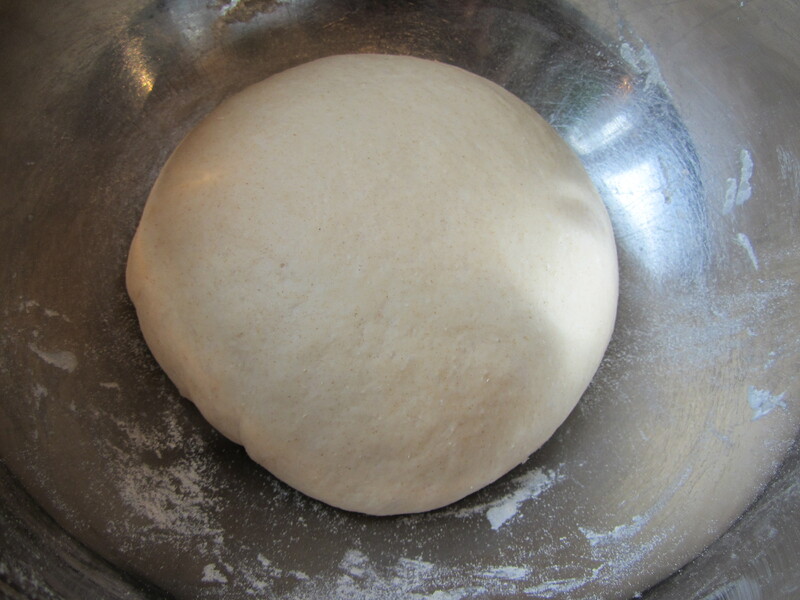 – Once the dough has risen, take it out of the bowl and knock back the dough. Knead for a couple of minutes. – Divide into 12 even sized pieces. – Roll each out into a long thin sausage shape and place on the parchment lined baking sheet. They don’t have to be perfect. – Brush with the extra oil and sprinkle on the rosemary and salt. – Leave to rise for about half an hour. – Bake for 10-15 minutes until they’re turing golden and sound hollow when tapped. Ooh these look great! I made lots of bread last year, with varying results – I love working with yeast dough, it really is kitchen magic. I agree…. bread is exciting but a bit scary! I’m hoping not to have too many disasters! these are perfect for the summer time! Beautiful photo!! I bet these are just amazing. What is fluer de sel? I know cups and spoons not metric.